If you are charged with Robbery in Texas call me. I am a Texas criminal defense attorney who handles Robbery and other criminal defense cases in various central Texas courts. Robbery can sound much worse than it is. A simple department store theft can result in a robbery charge. A common way for this resulting charge is when the loss prevention officer tackles someone stealing. Robbery is a 2d degree felony in Texas. It can take place in 2 ways. In Texas Penal Code Section 29.02(a)(1) a person committing a theft with intent to obtain or maintain control of property, intentionally, knowingly, or recklessly causes bodily injury to another. In Section 29.02(a)(2) a person committing a theft with intent to obtain or maintain control of property intentionally or knowingly threatens or places another in fear of imminent bodily injury or death. A very important distinction between (a)(1) and (a)(2) is the mental state. The mental state required in the former allows for the reckless mental state. But the later requires more specific intent of intentionally or knowingly. Reckless mental state requires a person to be aware of, but consciously disregards, a substantial and unjustifiable risk that the circumstances exist or the result will occur. This means that in order to be guilty of Robbery by fear of bodily injury or death (a)(2), the mental state of a person is required to at least be “aware that his conduct is reasonably certain to cause the result.” This is acting knowingly or with knowledge as defined in Texas Penal Code Definitions of Culpable Mental States. As I mentioned earlier, robbery can be a situation that started out by committing a simple misdemeanor theft at a store. It then becomes much more serious when a loss prevention officer, employee or security guard attempts to stop the theft by using force and becomes injured during the process. Some common injuries are scratches, bruising, and sore muscles. This form of robbery does not include serious bodily injury or a deadly weapon. That would increase the severity of the charge from a 2d Degree Robbery to 1st Degree Aggravated Robbery. Penal Code Aggravated Robbery Section 29.03 is a step up from the lower charge of Robbery. Instead of facing 2 to 20 years and in prison and $10,000 fine it is a 1st degree felony with a punishment range of 5 to 99 years and up to $10,000 fine. Aggravated Robbery Penal Code Section 29.03 (a)(1) says a person commits robbery as defined by Pen section 29.02 and causes serious bodily injury or (a)(2) uses or exhibits a deadly weapon. Serious bodily injury is defined in Penal Code 1.07(a)(46) as bodily injury that creates a substantial risk of death or that causes death, serious permanent disfigurement, or protracted loss or impairment of the function of any bodily member or organ. It is important to note that this would not have to include a deadly weapon to make the charge a 1st degree felony. If a person wishes to be put on probation for aggravated robbery, it will need to be ordered by a jury. Under the Texas Code of Criminal Procedure 42A the law does not allow a judge to place a defendant on community supervision. If a jury finds that the defendant used a deadly weapon, the defendant’s eligibility for probation and parole are affected. There are different kinds of deadly weapons. The first is “by design”, which is anything designed, made or adapted for the purpose of inflicting death or serious bodily injury. The State, by proving deadly weapon by design, will not need to verify that the object was really capable of causing death. Thomas v. State, 821 S.W. 2d 616,620 (Tex.Crim.App.1991). The second deadly weapon category is “by manner of use”. This is anything in the manner of its use or intended use is capable of causing death or serious bodily injury. This will require an examination of the specific facts of the specific criminal episode in light of the facts that existed when the felony was committed. The deadly weapon does not require the object actually causes death or serious bodily injury, but just the particular use of the object would be capable of causing death or serious bodily injury. 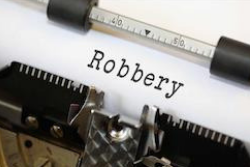 A robbery becomes a 1st degree felony aggravated robbery when a person commits robbery as defined in section 29.02 and causes bodily injury, or threatens or places in fear of imminent bodily injury or death, to someone 65 years of age or older. A person commits aggravated robbery when a person commits robbery as defined in section 29.02 and causes bodily injury, or threatens or places in fear of imminent bodily injury or death, to a disabled person. For robbery the punishment can be 2 up to 20 years in prison and up to a fine up to $10,000. Also probation of between 2 and 10 years is available. For aggravated robbery, a defendant must go to a jury to receive a sentence of community supervision(probation). The jury must probate 10 years or less of prison for it to consider community supervision. Also in order for the defendant to receive community supervision he or she must file a sworn motion with the judge that the defendant has not previously been convicted of a felony in this or any other stat. And the jury must enter in the verdict a finding that the information contained in the defendant’s motion is true. 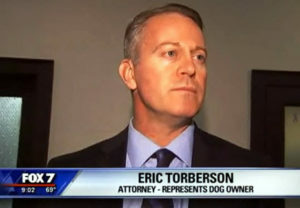 Call me, Attorney Eric Torberson, to speak to a criminal defense attorney to discuss your circumstances. I practice in Austin, Johnson City, San Marcos, Bastrop, Georgetown, Belton, Burnet, Lockhart, Giddings, Cameron and many more county seats. https://criminalattorneyinaustin.com.